Vivaldi and the viol are two concepts that until very recently have rarely been brought into conjunction. Did we not know from the testimonies of André Maugars in 1639 and Thomas Hill in 1657 that the viol, still thriving north of the Alps, had already become an all-but-extinct instrument in Italy – replaced by the bass violin, which, when built in a slightly smaller size, with covered strings and altered tuning, would in a few decades become the cello? And was not Vivaldi an ultra-progressive composer who would have turned up his nose at such a relic of the past? And yet: among Vivaldi’s hundreds of surviving compositions (over 800 at the latest count) are five that include parts for an instrument called by the composer “viola inglese”, “viola all’inglese” or (in one case) “violoncello all’inglese”. This “English viol” or “English-style viol” is clearly not a member of the violin family played in a special manner – five-note and six-note chords in one of the works concerned put paid to that idea – but if not, then what? The first person to confront the question was the French violinist and scholar Marc Pincherle, who in his famous book Antonio Vivaldi et la musique instrumentale (1948), a pioneering study of the composer’s life and music, laid down the framework for later discussions. Pincherle recognised that the term viola inglese corresponded perfectly in etymological terms to the German expression englisches Violett used by Leopold Mozart, in his treatise of 1756 on violin-playing, to denote a species of stringed instruments resembling the viola d’amore but with extra courses of sympathetic strings in addition to the single course possessed by the latter instrument. “Englisch” could either be taken at face value to refer to England, home of the lyra viol and therefore a country associated with the addition of sympathetic strings, or could be interpreted as “engelisch”, or angelic (in reference to the sweet sound produced by the extra resonance). So far, so good. But Pincherle must have had inner doubts, for immediately after this explanation he added the following sentence, which in its context has the character almost of a non sequitur: “There is good reason to think that by ‘English viols’ Vivaldi meant that ensemble of ordinary viols of different forms and sizes, soprano, alto, tenor, and bass making up a complete and homogeneous family, for which the British had a fondness”(1). No explanation is given for the volte-face, and one can only surmise that Pincherle’s instincts as a musician, or his doubt that the englisches Violett belonged to a complete family of instruments (as would be needed for Vivaldi’s music) rather than standing apart as an exotic singleton, led him to this second conclusion, on which he offered no further elaboration. Would that Vivaldi scholars, and the performers who pay heed to their opinions, had followed the “second” instead of the “first” Pincherle! In fact, for over half a century the first interpretation held sway. The absence of a known cello-sized relative of the englisches Violett was “solved” – unsatisfactorily – by equating the violoncello all’inglese with the baryton (as used by Haydn in numerous early trios). No soprano member of the family was ever located, so the violino all’inglese remained a “phantom” instrument. The irony is that pragmatic considerations led performers, from time to time, to employ viols for the performance of Vivaldi’s parts for viola all’inglese. They had no certainty that what they were doing was historically justified, but they were reluctant to use members of the violin family (muted or otherwise modified in tone), and viols were the only practical alternative. In so acting, they judged correctly – as we now know. The realisation that most musicologists had been following a false trail dawned simultaneously among a number of investigators (among whom was the present writer, contributor of an article entitled “Vivaldi and the English Viol” to the August 2002 issue of Early Music) around the beginning of the new millennium. It was stimulated by the study of inventories of instruments in the possession of Italian courts and other institutions between 1600 and 1750, which showed that, although an instrument with “cult” rather than “mainstream” status, the viol was far from dead south of the Alps, and by a closer, less prejudiced look at the characteristics of the five Vivaldi compositions concerned. A direct link from the viola da gamba to the composer himself passed via his father, Giovanni Battista Vivaldi (c.1655–1736), who from 1689 to 1693 served the Ospedale dei Mendicanti (one of Venice’s four great charitable institutions, all of which boasted choirs and orchestras recruited exclusively from their female residents) as its maestro de’ strumenti, or director of instrumental music. From 1673 if not earlier, the Mendicanti possessed a consort of seven viole da gamba. These eventually passed into disuse – in a list of instruments from 1705 they number only six and are described as “old and broken” (vecchie e rotte) – but probably not before Giovanni Battista made acquaintance with them as a player and teacher, which enabled him to transmit his skills as a gamba player to his son Antonio. In all likelihood, the Vivaldi household possessed at least one viol. Soon after his appointment as a violin teacher to the Ospedale della Pietà (the ospedale specialising in the care of foundlings) in September 1703, Antonio decided to carve out an extra, lucrative niche by proposing himself as a teacher of the relatively unfamiliar viola inglese. He first introduced it informally to the Pietà’s figlie di coro and then asked the governors to recognise his additional responsibility officially. This they did on 17 August 1704, awarding Vivaldi 40 ducats on top of the 60 ducats that he was already earning as his annual salary. The next step was to acquire viols for the Pietà’s ever-growing and multifarious collection of instruments. There are no clear-cut references to the viola inglese or the viola da gamba in the Pietà’s account books of the period, but one suspects that the “quattro viole per il Coro” acquired at the surprisingly low total cost of 24 ducats on 18 December 1705 refers to a set of viols. Even better was to come. In 1698 the Venetian nobleman Alberto Gozzi, a keen collection of weapons and musical instruments, died. The instruments remained, in accordance with his will, in the custody of his widow, Adriana Donato Gozzi, on whose death they were to pass to an official body, the Unione delle Quattro Ospedali. Adriana decided, or was persuaded, to loan one of her inherited possessions, a “chest” (set) of six viols, to the Pietà. The deed recording the transaction is dated 11 May 1706, and the Pietà enjoyed the use of the instruments until, following Adriana’s death, they were duly relinquished on 20 February 1726. The “golden age” of the viol at the Pietà – which also happens to be the time-frame for Vivaldi’s composition of the five works employing the instrument – coincides with the period of this loan: 1706–26. However, there is no doubt that individual figlie di coro owned viols, and the Pietà itself must have included one or two such instruments in its collection for much of the eighteenth century. In the 1706 edition of Vincenzo Coronelli’s guide-book to Venice, the Guida de’ forestieri, one of the figlie di coro, Prudenza (born c.1681) is singled out as a musician “who with equal mastery sings soprano, and plays the violin and the violoncello inglese”(2). And indeed, when Prudenza acquired a husband in 1709, her dowry (representing her personal property) included a viola all’inglese as well as a spinet, two violins and an angelica (a kind of lute). Another early viol pupil of Vivaldi at the Pietà must have been Meneghina (c.1689–1761), on whose behalf the Pietà paid the violin maker Giovanni Selles as late as 1745 for reconditioning and re-stringing a viola inglese. 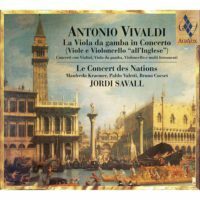 The earliest of the three Vivaldi concertos containing a part (or parts) for viol featured in the present recording is a concerto in A major, RV 546, for solo violin, solo bass viol, strings and continuo. It is preserved, in autograph score, at Turin in the Biblioteca Nazionale, which houses the vast collection of Vivaldi manuscripts originating in the composer’s personal archive. Studies of the paper used for this manuscript suggest that it was composed around 1720, perhaps in Mantua at the end of the composer’s period of residence in that city. Originally, it was designed for violin and cello, like the outwardly very similar concerto RV 547 (in B flat major). Later, and very likely in connection with performance at the Pietà, Vivaldi sanctioned performance of the “bass” solo part on the viol, penning in the words “all’Inglese” after the original “Violoncello obligato” in the concerto’s title. Although the pairing of instruments from the violin and viol families was unusual in an Italian setting, the combination of violin and bass viol was almost traditional in northern Europe, going back to the “consort lessons” of early-seventeenth-century English music and continuing in such works as the trio sonatas of Diderik Buxtehude. So RV 546 revives, rather than initiates, an instrumental practice. The opening movement of the concerto is dominated by its rough-hewn ritornellos all’unisono, set off by more lyrical and expansive episodes for the solo instruments. The second movement, scored in the style of a trio sonata, remains in the home key. Such a “homotonal” approach is highly unusual for the time – Bach and Handel always move to a fresh key for the internal slow movement of a concerto or sonata – but is a favourite solution for Vivaldi. The finale returns to the “pithy” style of the first movement, although not to the austerities of unison writing. Throughout, the contrast in timbre between violin and bass viol, which have similar material to play (often simultaneously), exerts its own fascination. RV 579, Vivaldi’s “funeral” concerto, dates from the mid-1720s. The funeral service at the Pietà that it was intended to accompany has not been identified, but might have been that of a governor or benefactor. It is scored for principal violin, one or more muted oboes (the term “Hautbois” used by Vivaldi can as easily be plural as singular), one or more muted tenor chalumeaux (“Salmoè”), three viole all’inglese (two treble viols and a bass viol), muted strings and continuo. The obvious intention is to achieve a highly variegated, but at the same time veiled, timbre. 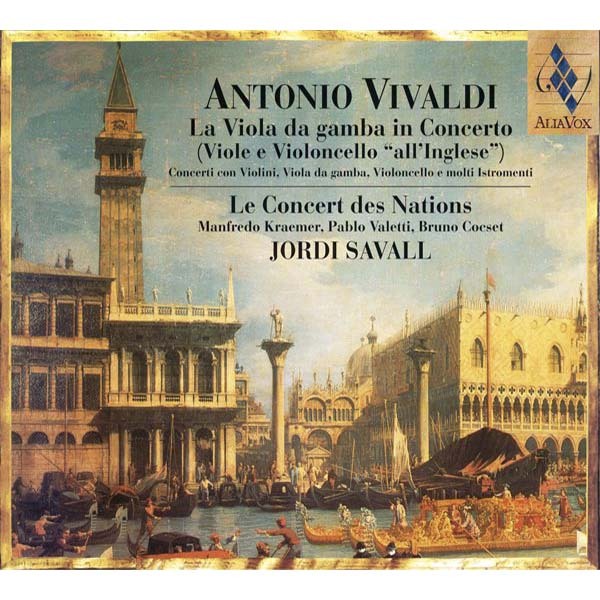 Since this is a concerto expressly for use in a church service, Vivaldi bows to convention by supplying an introductory slow movement expressing the dignity of the occasion. To do this, he adapted a sinfonia used in the third act of his opera Tito Manlio (Mantua, 1719) to represent the march to the scaffold of the eponymous hero. In the moderately fast (“Allegro poco a poco”) movement that follows, the concertino of viols, like the other soloists, has occasional solos that are expressive rather than virtuosic in nature. A very brief Adagio leads to a final fugue, borrowed with minimal adaptation from one of Vivaldi’s concerti a quattro (RV 123). In these final two movements the viols have no independent passages. RV 555, dating from c. 1726, is a striking example of what Vivaldi called a concerto “con molti istromenti”. 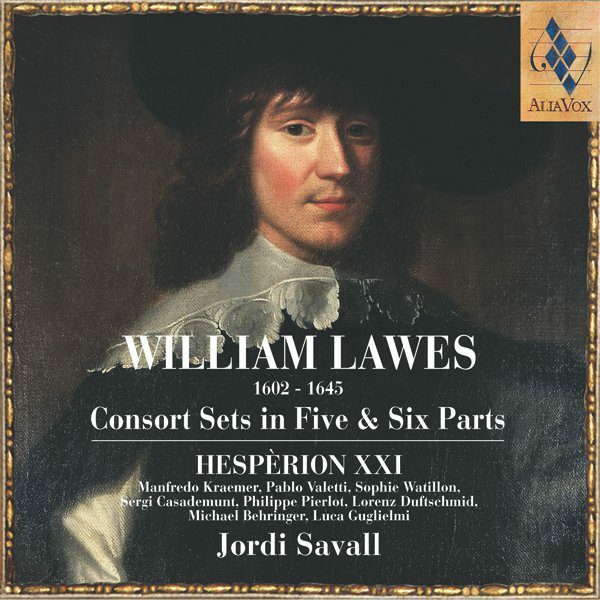 In such concertos the orchestral strings are joined by assorted obbligato instruments that variously reinforce them and contribute independent short solos. The line-up of solo instruments for RV 555 is: a violin, two supporting principal violins, oboe (or oboes), two alto recorders, two treble viols, two tenor chalumeaux, two cellos, two harpsichords and – in the finale only – two instruments called “trombe”. In all likelihood the latter are not actual trumpets but “violini in tromba marina”, or violins with a modified bridge that makes them sound like the tromba marina, a kind of bowed monochord whose timbre and repertoire of notes were trumpet-like. No such instruments are extant today, so any solution has to be pragmatic. For the present recording baroque trumpets have been used. The “hidden agenda” of Vivaldi’s concerti con molti istromenti written for the Pietà was to amaze and surprise the audience, from whom, for the sake of decorum, the all-female performers were concealed by grilles and gauze. They exploit to the utmost the pleasant jolt to the senses that occurs when one timbre unexpectedly replaces another. Colour, not profundity, is their goal. We move now to four concertos in which the specified solo bass instrument is cello but where, by analogy with RV 546, the viola da gamba can do duty for its cousin from the violin family. Three are favourites taken from Vivaldi’s Op. 3, L’estro armonico, published in 1711. 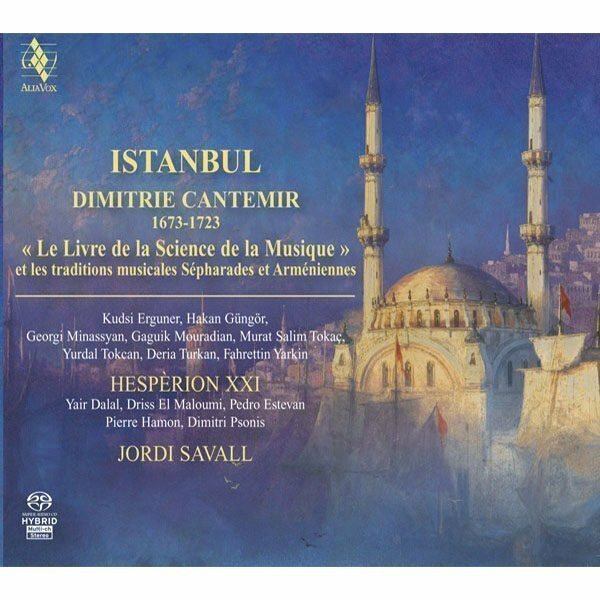 This eclectic collection, the fons et origo of Vivaldi’s Europe-wide fame, mixes traditional features inherited from Giuseppe Torelli or from the Roman school (Corelli, Valentini) with innovative, peculiarly Vivaldian traits. In the D minor concerto, RV 565, where two violins and a cello have solo parts, the first two movements are a cadenza-like capriccio for all three solo instruments and a masterfully executed fugue; the siciliana-like “Largo e spiccato” and “Allegro” that follow are more conventional in concept, though hardly less impressive. The similarly scored G minor concerto, RV 578, is among the most Corelli-inspired works in the set. RV 580, for four violins, pays homage to Torelli in the tripartite (slow-fast-slow) form of its composite slow movement and to Valentini in the orderly rotation of solo passages among four violins. Like RV 565, this was a concerto that J. S. Bach chose to transcribe. Finally, our recording includes one of Vivaldi’s “characteristic” concertos, Il Proteo o sia il mondo al rovescio (Proteus, or the world turned upside-down). The solo parts, for violin and cello (making an interesting comparison with RV 546), are “Protean” or “upside-down” in the sense that the violin’s solos are written in the tenor or the bass clef (as if for cello), whereas those of the cello are written in the treble clef (as if for violin). Little of this can be appreciated from the music as heard: this is a joke directed by the composer at the solo performers reading from their parts.